A Bellevue family is reeling after they say someone vandalized the grave of their infant son at the Bellevue Cemetery. It's not the first time this has happened, back in 2014 balloons and toys placed for Brayden Skilling's birthday were stolen. Now - this family wants answers. 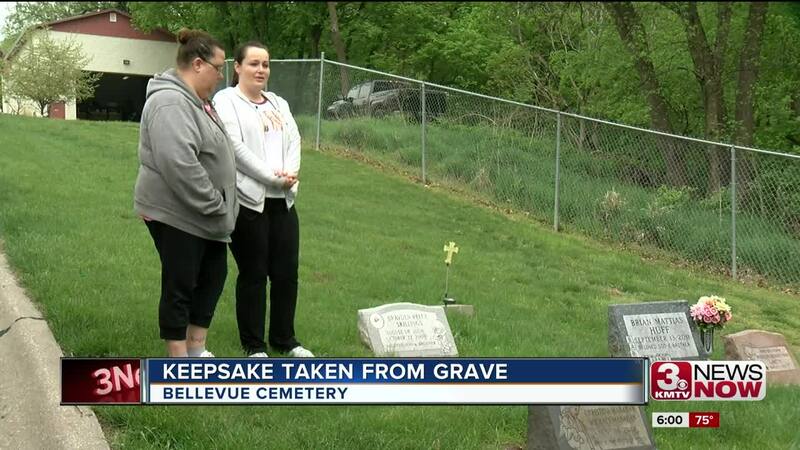 The Skillings family came here to Bellevue cemetery on Mother's Day to visit the little boys grave and were shocked to find a statue of a baseball player missing from his graveside.